Stampin’ Up! have launched a brand new line of modular storage which lets you organise and customise your own space and the products you own. Storage by Stampin’ Up! will be launching in the new annual catalogue in June but are available early from my online shop. Storage by Stampin’ Up! 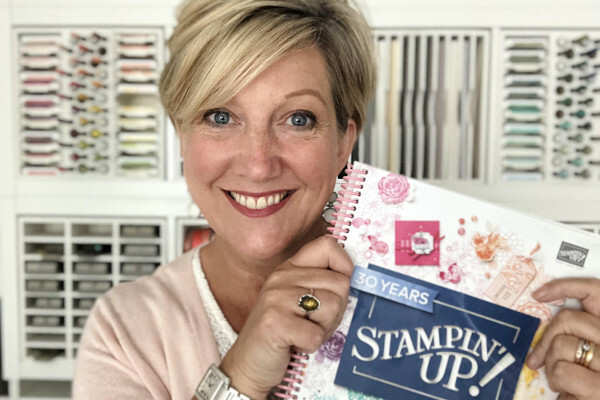 is designed to store and showcase your Stampin’ Pads, Stampin’ Ink Refills, Stampin’ Blends, Stampin’ Write Markers, Watercolour Pencils, and other accessories. Buy what you need to fit your collection and build your storage as your collection grows. What I love about Storage from Stampin’ Up! Keeps products organised, tidy & visible. Designed to be stylish, durable, compact, stackable, customisable and modular. Blends in naturally with its white neutral colour. 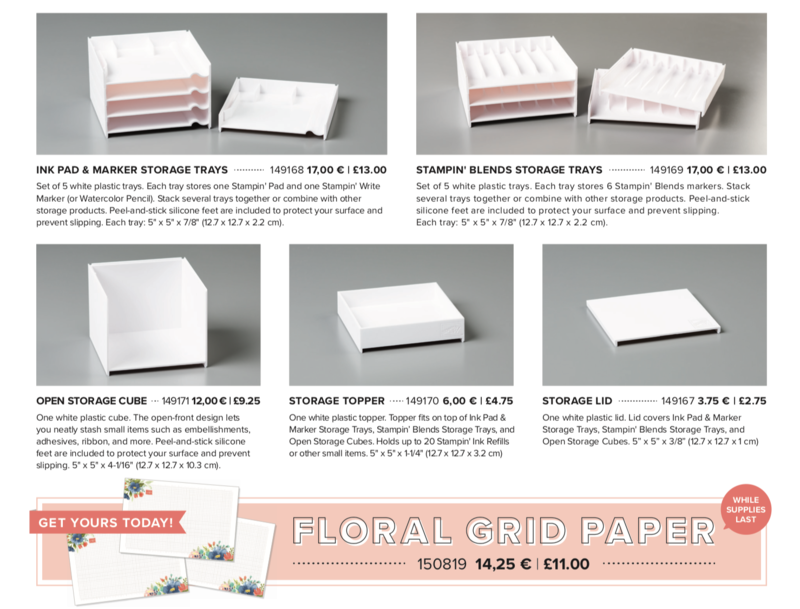 All the new storage items PLUS the pretty grid paper (available whilst stocks last) is available from my online shop. Click any of the images below to go direct to that item in my shop to place an order and get your storage solutions ordered today! And don’t forget to use the new monthly hostess code for April when spending £20+ (and less than £150). Happy shopping!